Michael Kiske (born January 24, 1968 in Hamburg, Germany) is a singer best known as the lead vocalist for the German power metal band Helloween from 1986 to 1993. Kiske has been recording solo albums since 1996, has participated on various metal/rock related projects and has performed with many bands as a guest vocalist. He also wrote a book, ‘Kunst Und Materialismus’, which is only available in German. 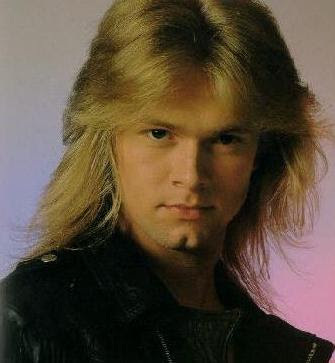 Prior to joining Helloween, Kiske sang with the German band Ill Prophecy beginning at age 17. The band recorded a demo, but it was never released commercially. When he was eighteen, Kiske was asked to join German power metal band Helloween, which was fronted by singer/guitarist Kai Hansen. Hansen had some difficulties being both the lead guitarist and lead vocalist, and it was decided that a new vocalist would be needed. Kiske joined Helloween in 1987 and recorded Keeper of the Seven Keys Part 1, widely considered to be one of Helloween’s best albums and a milestone in the creation of the power metal genre. They went on to release Keeper of the Seven Keys Part II, Pink Bubbles Go Ape, and Chameleon. The last two albums were commercial failures, and resulted in Kiske leaving Helloween. 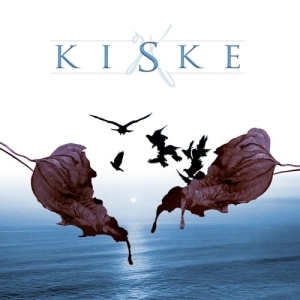 Kiske would be fired from the band in 1993, reportedly for personal reasons and musical differences; Michael Weikath claimed it had become impossible to work with him any longer. Kiske was replaced by Andi Deris, who has remained with Helloween ever since. Kiske was rumored to be Bruce Dickinson’s replacement after he departed from Iron Maiden in 1993, but that position was filled by Blaze Bayley. In 1995, Kiske participated as a guest on Gamma Ray’s (Kai Hansen’s band, formed after his departure from Helloween in late 1988) Land of the Free album, singing lead vocals on the song Time To Break Free and additional vocals on the title track. 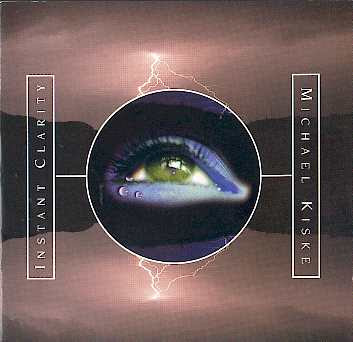 On August 16, 1996, three years after leaving Helloween, Kiske released his first solo album, Instant Clarity on the Japanese record label Victor. The album featured guest appearances by Kai Hansen and Adrian Smith of Iron Maiden. A music video for the ballad “Always”, dedicated to deceased Helloween drummer Ingo Schwichtenberg, was produced and filmed in New York City. His second solo album, Readiness to Sacrifice, was released in Korea and Japan in 1999, and in Europe in 2001. Both albums contain songs in a wide variety of styles. In 2001, Kiske was asked to participate in Avantasia’s Metal Opera in the role of Lugaid Vandroiy,which he agreed to do, but only under the nickname of Ernie, which was printed on the back of the first CD, but not on the second, where his real name was correctly printed. He said in interviews that at that time he didn’t want people to link him to heavy metal anymore. In 2002, Kiske sang the song “Key To The Universe”, which was featured on Timo Tolkki’s (guitarist of the band Stratovarius) solo album Hymn To Life.In the same year, Michael also sang a duet with Jorn Lande on Masterplan’s self titled debut album. In 2003, out of desire to make rock music again, Kiske formed a band, named SupaRed. 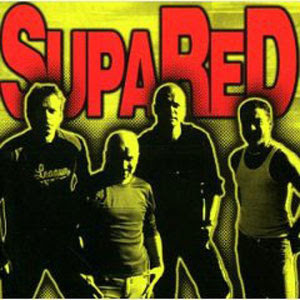 They released a self-titled album in January 2003. This album had a modern rock sound and a song structure, distinct from both his solo albums and the heavy metal sound of Helloween. The project was unsuccessful and he dissolved the band. In the same year he was also part of the metal opera Days of Rising Doom by Aina, in the role of the Narrator, singing on 4 songs. In 2004, Michael sang a duet with the female vocalist of the band Thalion on their debut album Another Sun. In 2005, Kiske was a part of the Place Vendome project on Italian record label Frontiers Records. Place Vendome was composed of members from the German band Pink Cream 69, the keyboard player from the band Vanden Plas and Kiske on vocals. The band’s music was a blend of melodic hard rock and AOR, comparable to the sound of bands such as Foreigner or Journey. During the same year Kiske was a guest on the heavy metal album Execution by the band Tribuzy, singing a duet with lead vocalist Renato Tribuzy.Following this participation Kiske sang another duet with Tobias Sammet (vocalist of the band Edguy and founder of the Avantasia project) on Edguy’s Superheroes EP. Also in 2005, Helloween released the album Keeper of the Seven Keys – The Legacy in which some of their early recordings featuring Michael Kiske were sampled for the intro of the song “Occasion Avenue”. 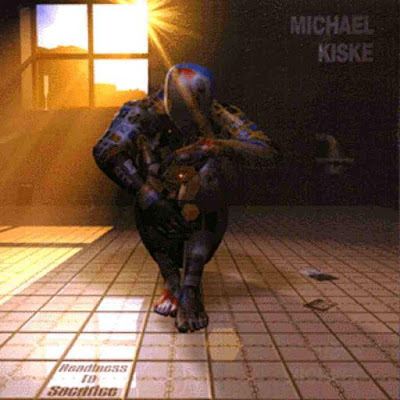 In 2006, Michael Kiske released his third full-length solo album under the name of Kiske The album contained songs in a mellow acoustic pop-rock style and was a step away from the sound of his previous solo albums.According to Kiske “It’s a healthy-careless and musically free album. I am very proud of this record because it is a true statement from myself”. In 2007 he sang a duet with the female vocalist of the band Indigo Dying on their self titled debut album. During 2008, Kiske participated on the Avantasia album The Scarecrow and released his latest solo work, entitled Past in Different Ways. Kiske’s new solo disk included the re-recording of his Helloween material in his new acoustic style. According to Kiske the album “on one hand shows that I don’t reject my past just because I’m a different person today, and on the other hand it can maybe give people who were part of that past a different view at those songs”. In 2008 Kiske was also a guest on Revolution Renaissance’s (Timo Tolkki’s new band after departing from Stratovarius) New Era album, singing on 5 tracks. In 2009 Michael Kiske participated on the second album of the project Place Vendome entitled Streets of Fire. 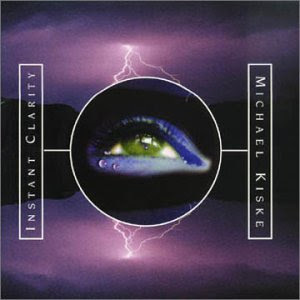 A video was shot for the song “My Guardian Angel”, marking Kiske’s visual return since 1996, while Michael admitted that he enjoyed the second Place Vendome album more than the first. During 2009, Kiske was also a guest on Trick or Treat’s album Tin Soldiers singing on 2 songs. Can I Know Now ?